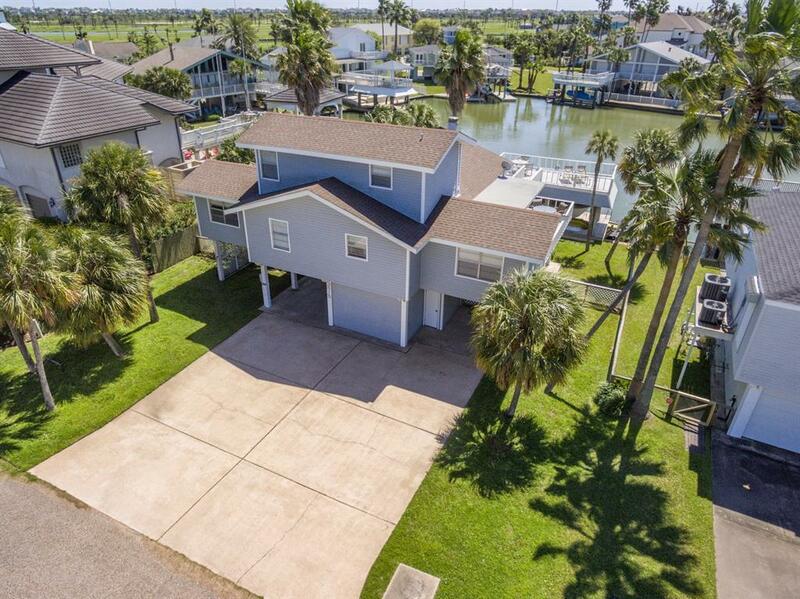 Beautiful canal front home in highly desirable location within Pirates Cove. 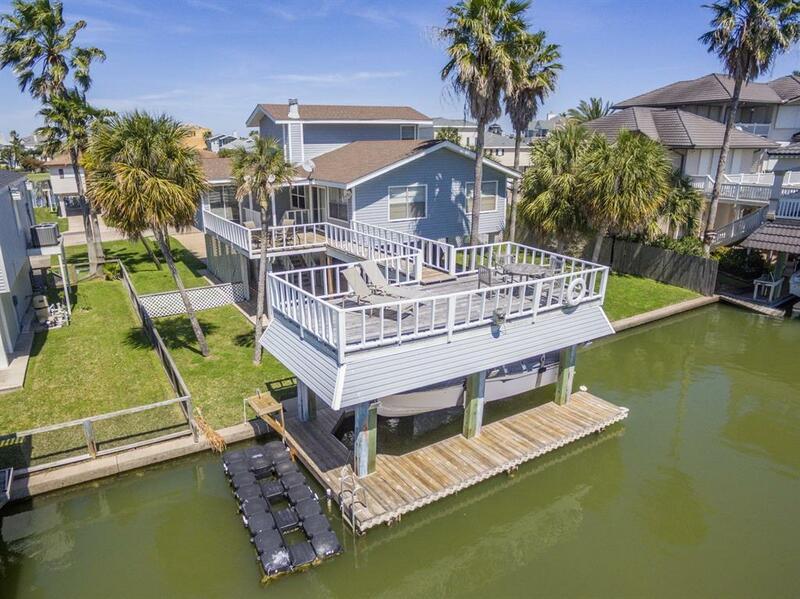 This home sits on one of the widest canals and is perfectly oriented for cool summer breezes. Open floor plan perfect for entertaining. Extra long breakfast bar and tons of counter space. Saltillo tile throughout kitchen, dining & living area. Nice fishing dock & boat house ready for your boat. 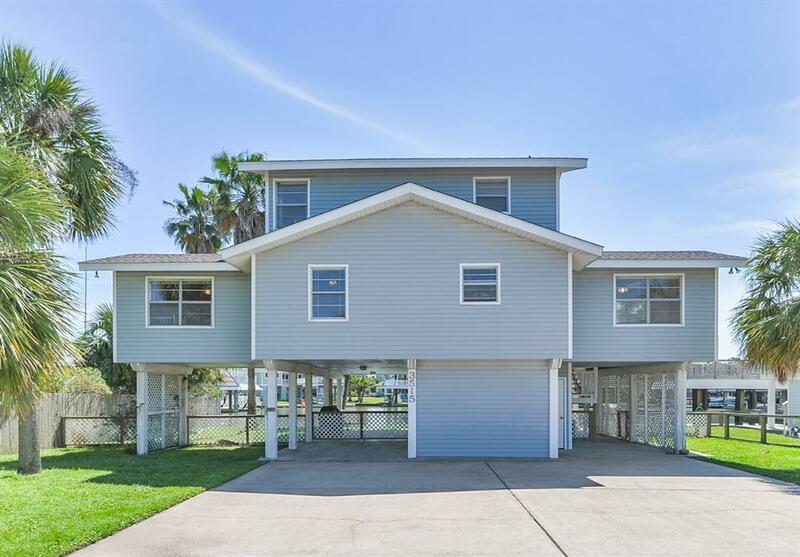 Lots of deck space for outdoor dining or laying out. 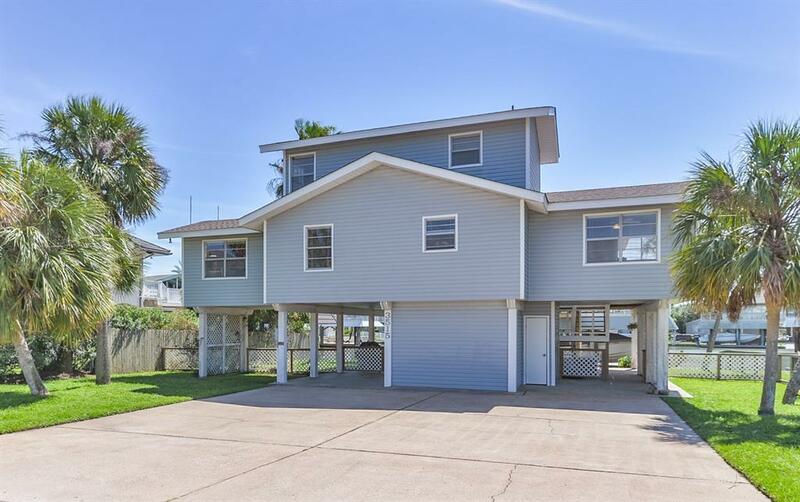 Walking distance to the Galveston Country Club and easy boat access to West Bay.